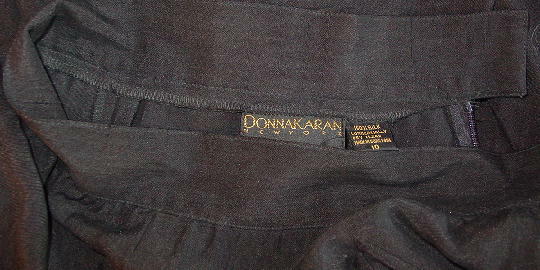 These vintage black 100% silk wide-legged pants are Donna Karan New York and were made in Hong Kong. 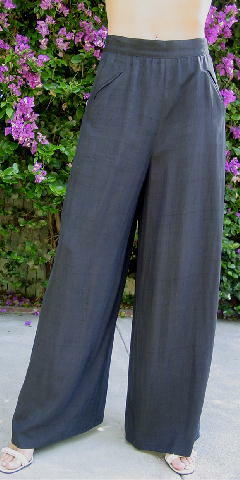 They have a back 7 3/4" long zipper and a 1 3/4" wide waistband with a back 2 wide hook closure. 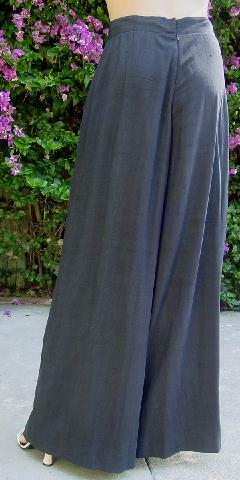 The front has 2 diagonal pockets. The tag says size 10.
bottom leg opening side to side 15 3/4"